Packers Camp Boat Ramp & Floating Walkway - Pensar. The Infrastructure People. 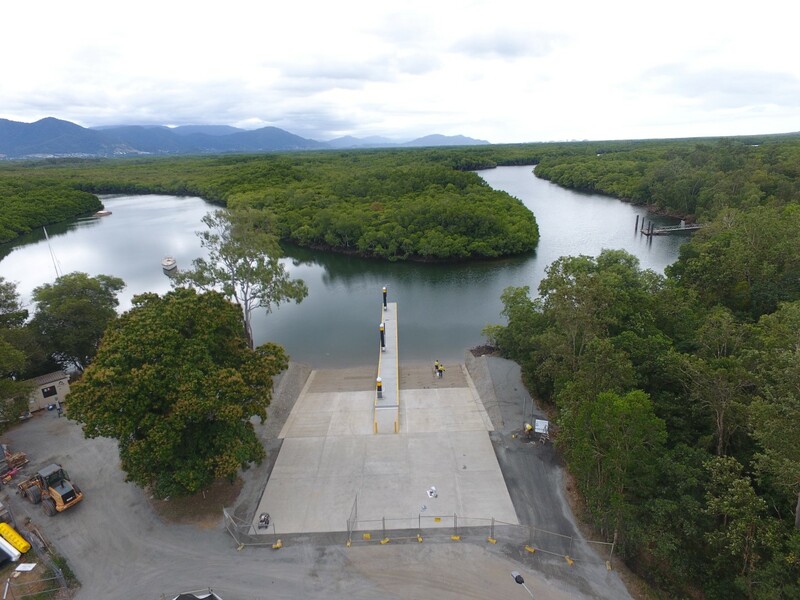 Located south of Cairn, Pensar completed the re-construction and widening of the existing Packers Camp boat ramp and design and construction of floating walk way for the Department of Transport and Main Roads. The Packers Camp boat ramp is now suited to all tides, featuring four lanes and a floating walkway catering for the local fishing and recreational community. The $1.27M upgrade was completed ahead of schedule and in time for the upcoming school holidays. The new ramp and floating walkway has greatly improved safety and accessibility through improved boat launching and retrieve operations and better access for pedestrians. Potential cultural artifacts were uncovered in consultation with Indigenous stakeholders during earthworks. Pensar staff where able to assist Gordonvale Police by retrieving a stolen 4WD which was uncovered as part of the construction works. Detailed acid sulphate soil and silt control plans adhered to in environmentally sensitive marine environment of Redbank Creek. Use of maintenance free leveraged pilot fibre glass reinforcement technology providing a maintenance free asset exceeding the required design life despite the harsh marine environment.